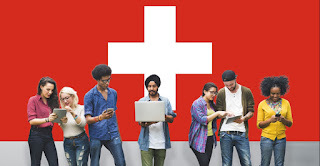 Did you know that the educationsuisse team provides advice and support each year for many young Swiss Abroad as well as pupils at Swiss schools abroad who are keen to pursue or complete their education in Switzerland? Their staff provides them with information and advice on education in Switzerland. They give an overview of the possible courses of education and answer questions on, for instance, university admission criteria, linguistic knowledge, the search for apprenticeship places, possible grants, insurance, accommodation and much more besides. In collaboration with BIZ in Bern-Mittelland, an occupational, educational and career guidance service, educationsuisse provides advice on career choices and courses of study. These discussions take place with qualified BIZ professionals and can be held in various languages via Skype or in Berne. Educationsuisse is also able to award small additional grants or loans thanks to various funds. A new fund provided by the “Gazzetta Svizzera” has also been available since the 2016/17 academic year which is aimed specifically at young Swiss Abroad who have grown up in Italy and are receiving education or training in Switzerland. Visit their website at www.educationsuisse.ch/en/education-switzerland or contact them directly via email or by telephone. Advisory consultations can also be provided in Berne by prior appointment. Their employees speak German, French, English, Italian and Spanish.